Is it in the Nordland area? Somewhere around Brønnøysund ? Where picture is taken from is in Nordland, but much of what you see is not in Nordland. So the we are on the border from Nordland to Nord-Trondelag? Near Lysfjord? 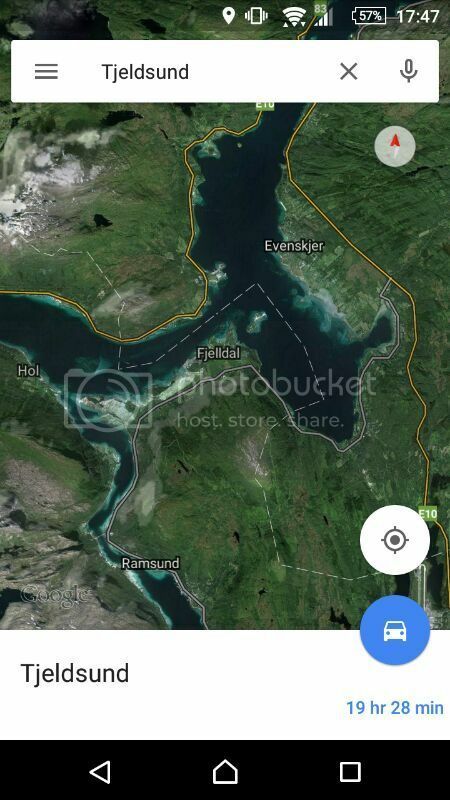 A foot track around Ursjorden? ???? Where is Ursjorden?? I cannot find a refr. OK, I guess you meant Ursfjorden? No it is not. But you got the drift. The other "end" of Nordland. Then,the landscape we see could be in Troms? At the border between Troms and Nordland.It could have been taken from Fjelldal (along the road 824) with Hinnoya in the background. It is back to you again, Yves. Somewhere with large tidal difference, which fits your part of France, but the houses and fishing boats doesn't look French. So we are in some other part of the world with big tides. Off the cuff I'll say this is either on the Atlantic coast of Canada, or we are in the southern part of South America. It does not look like the Argentine part of Patagonia, so I'll guess Chile? Good guess Ombugge.We actually are in Chile. Are we anywhere in the area of Concepción? Caleta Tumbes? Not Concepcion.You have to move a bit South. There are several possible places, but i don't manage to find a similar picture, so i just have to try some more: Lota? No it is not Lota.You are still too much North. As a clue, think about the "Chilian Hurtigruten". Ah. Okay, that is more as a bit South in European scales. 500km is a lot. But your clue did lead me to the right place, i think. 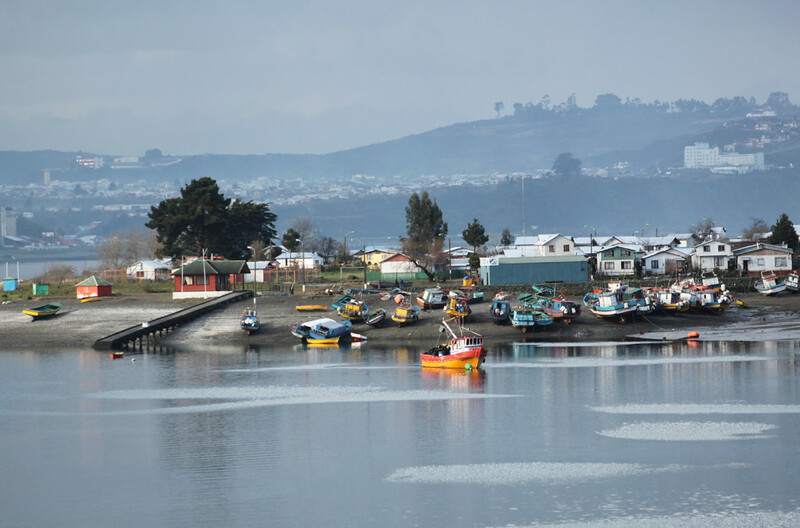 It should be the beach of Isla Tenglo, just face to face to Puerto Montt. I have a problem of translation with the word "subdued".Do you mean "sad"? No, in this context, I mean reduced visual impact. Norway's places can render one speechless; most of Patagonia, with exceptions like the Darwin Cordillera and Cuernos de Paine, is rather ho-hum and in a deep rain shadow. Nevertheless the lomo (beef) Argentina prides itself on has to be the world's best beef. Thank you Nari.You put me in the picture!